Final Fantasy, such a wonderful franchise with so many characters to talk about and stories to tell. Most gamers remember their first moments with a Final Fantasy game and the series is now so legendary that it truly transcends its medium of existence. With over a dozen games, hundreds of characters and thousands of hours of content, the franchise has defined the entire role-playing genre for several years. While it is no easy task narrowing down a list of who we think are the best heroes that the long-running franchise has to offer, we decided to give it a shot anyways. Below, you can check out the top 6 best Final Fantasy heroes of all-time as decided by me and Tom Skidmore. 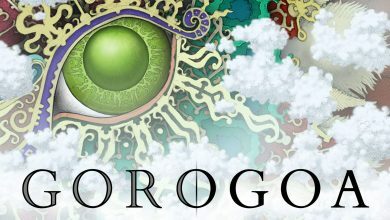 This article contains several spoilers for the characters and games mentioned. If you have not played the game that a character appears in, consider yourself warned. I’ll come right out and say it – Cecil is my favorite Final Fantasy protagonist ever. The others on this list rank very highly for me as well, but Cecil is, hands down, my favorite personally. I could list out all the reasons why he is a complete beast from a fighting perspective, or why his cold (and eventually endearing) personality is so easy to relate to, but instead I want to focus on his story. While it is customary for characters to undergo figurative transformations over the course of a tale, it’s quite rare to see them undergo literal transformations as well. Cecil is, at the start of the game, one of the most talented and feared warriors in the world with near-unmatched powers as a Dark Knight. As he grew in strength, he lets those powers consume him and he embraces the darkness to the point of no longer having compassion for his friends and loved ones. Eventually, after coming face-to-face with his terrible sins, Cecil must ascend Mt. Ordeals and embark on a journey to become the polar opposite of what he is, a guardian of light – a Paladin. Once he reaches the top and dons the gear and abilities of the holy Paladin warrior, you are confronted with the physical manifestation of your former Dark Knight self. The first instinct of the player is to attack and try and defeat the darkness in combat, but the only way to actually win the fight is to sheathe your sword and simply accept the barrage of blows that it deals to you. This is genius on both a narrative and game design level. Only by accepting your past and moving on, can you grow and become a better version of yourself. This is such a powerful message, I don’t know if it really sinks in when you first play the game. Not only is Cecil an incredibly well-crafted metaphor for human nature in and of itself, but his story makes for an extremely compelling narrative that is seldom matched in modern game storytelling. It’s strange to think that a story this sophisticated and deep appeared on the Super Nintendo and even though most people played it originally when they were young, those are often the stories that stick with you the most. Cecil isn’t just one of the best Final Fantasy heroes for overcoming his own demons, he is one of the best heroes period. Love stories are timeless, that’s a fact. Love stories that involve dreams that were never actually real, villains that are in fact possessed versions of protagonist’s fathers and sidekicks that are actually dead, well, those are the kind of love stories that you never forget. 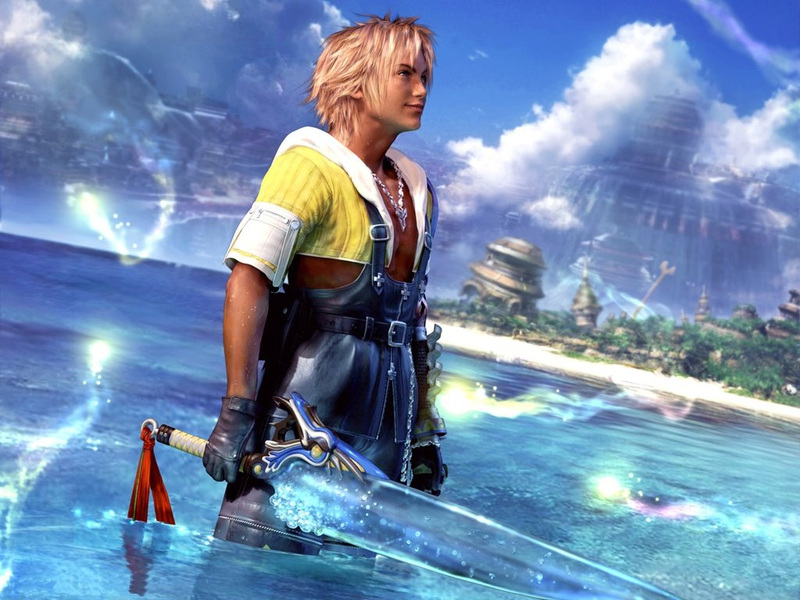 Tidus (pronounced Tee-dus and not Ty-dus as I thought throughout my childhood) is one of the most popular and well-received heroes the Final Fantasy franchise has ever seen, for good reason. His transformation from a cocky and self-centered athlete to a brave and heroic savior over the course of the game is truly incredible. One of the main reasons Tidus is so memorable, ironically enough, is because he was never even actually real. 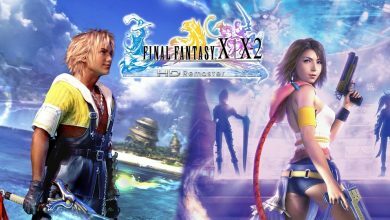 Near the end of Final Fantasy X, it is revealed that Tidus is actually a “dream” and became “more than a dream” upon coming into contact with Sin, or, his father. It’s all very complicated and kind of paradoxical, but that’s what makes any good fiction good – the ability for open interpretation. A great hero is more than just a person with motives and actions, but a person that represents something bigger than themselves. In Tidus’ case, to me, he represents the eternal question – what is the meaning of life? Better yet: what does it even mean to be alive at all? His story is one of the best ever told and his romance with Yuna is so heart wrenching and well-told, I can feel the pain from their final embrace as I type this paragraph. Thankfully, we are all about to relive this wonderful game in HD glory very soon! Before you start writing an angry comment about how the XIII trilogy has ruined the Final Fantasy brand and how they’re the worst JRPGs of all-time, hear me out. First of all, the quality of the games as a whole is not necessarily relevant to the quality of the main protagonist. 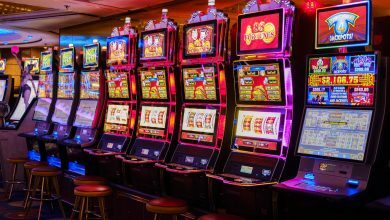 Second, plenty of other things have happened over the past several years that have soured the Final Fantasy brand far more severely than a few games that actually sell quite well. Finally, and this is the big one, Lightning is just an awesome character. Not only is she incredibly attractive (not uncommon for Square’s female character designs) but she is a highly skilled fighter. Usually the females in Final Fantasy games are relegated to petite ranged classes, minor healer roles, or various other not-in-the-spotlight situations that force you to all but forget about them. Instead of being the object of a convoluted romance, Lightning is the definition of a hero. She takes charge of any situation that she’s in and gets the job done. Over the course of the trilogy we see her evolve from rebellious soldier, to the guardian of the goddess Etro, and finally to a time-travelling savior of the world. 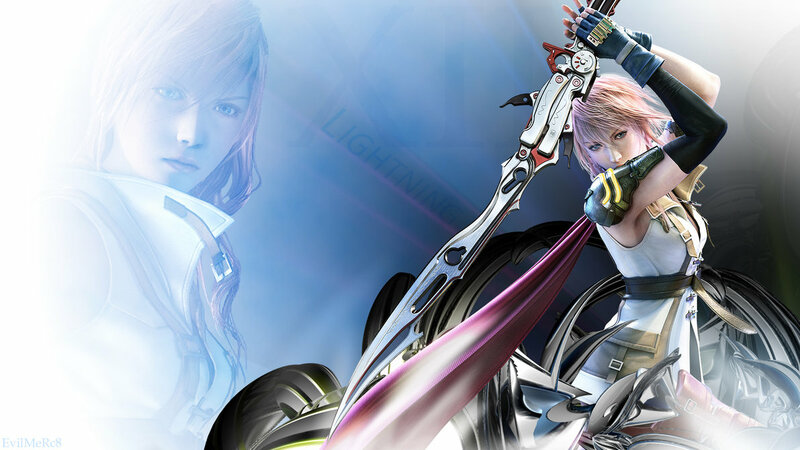 It’s seldom that a character is so consistent over the course of multiple games in the Final Fantasy universe, and Lightning is absolutely the best thing about the entire XIII trilogy as a whole. 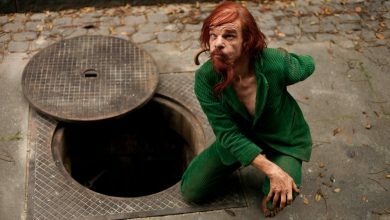 Who says the titular character has to be the face of the game? As with many people, Vivi was by far the most popular, and lovable character you could ever meet in a Final Fantasy game. Not only does he have the quiet, innocent nature, but his backstory makes his role in Final Fantasy IX a much more influential one. Mainly revolving around he own personal growth as a character, Vivi has to overcome numerous obstacles right from the very beginning (I genuinely felt bad for him when he found out he had a fake ticket) and right up until the end. His overall lack of faith in himself is quite evident, being afraid to cast his black magic to even save his friends, but as the story progressed, his personality developed and turns Vivi into a brave and self-confident character. 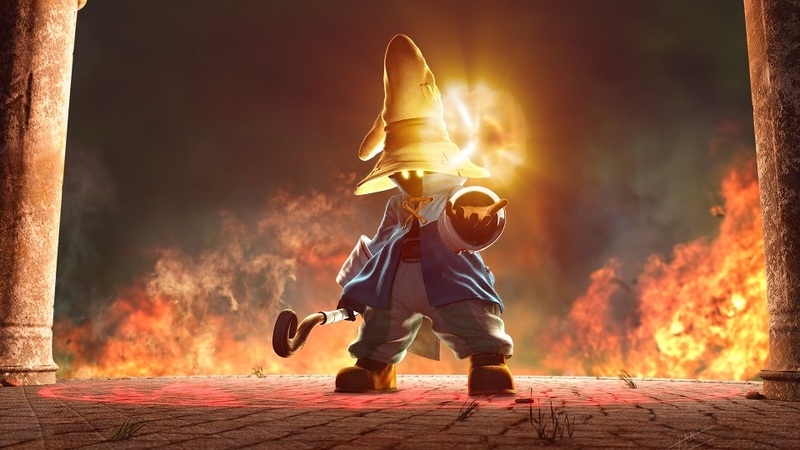 Not only is Vivi an overall cool character, his Black Magic basically makes IX much easier than it could be. Each level of Black Magic you obtain seems to be a one hit KO. That’s just how badass Vivi is! Although it’s definitely a shame over the speculated fate of Vivi (I was more upset about him than Aeris), but where did all of his kids come from? Raises more questions than it answers really! Since Cloud took the mantel of the mascot of Final Fantasy VII, there wasn’t much room to push another forward. That was until the prequel to VII came along. 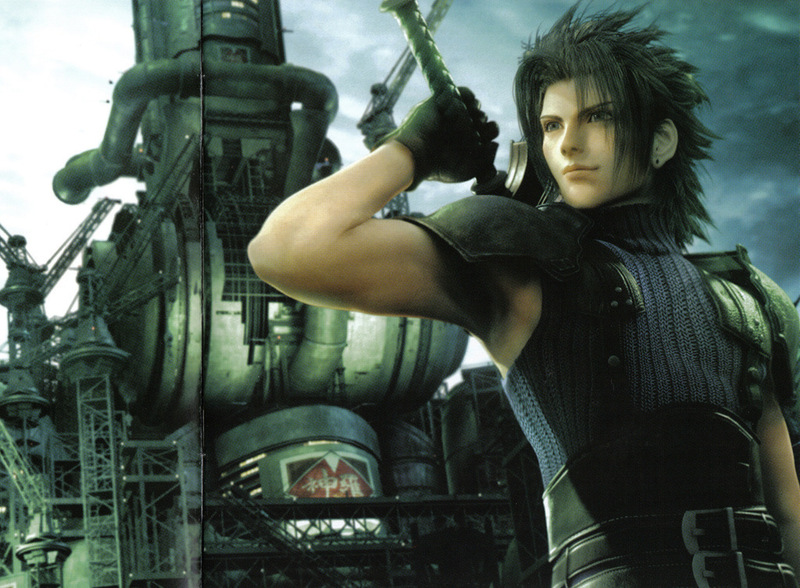 Crisis Core was a game that very much surprised me and Zack was definitely a character I could relate to. A 2nd Class SOLDIER who works his way up through the ranks, Crisis Core revealed the true past of “Cloud” and demonstrated to everyone how much cooler Zack was than Cloud (no wonder Tifa and Aeris like him more). With mentors like Sephiroth, Angeal and Genesis, it really was inevitable that Zack would move up through the SOLDIER ranks, but with the tribulations that the storyline provided, Zack really grew as a character, being plunged into a world where his friends were at stake. From his early days, being a young go-getter, Zack gave us enthusiasm to persevere. When the revelation of his long time mentor Genesis, Zack became more focused and driven to find out for himself, and us, the truth that lay ahead. For me, Crisis Core was a much more involved game that VII was and Zack made a much better protagonist that Cloud ever did, so much so that Cloud wanted to be just like him! Does anything really need to be said about Aeris? (Or Aerith depending on whether it makes the world of difference to you over literal translations). Still, the iconic scene regarding this young heroine caught the hearts of many during its heyday, and even still now surprises many. Even more so if you committed to using a white mage through your very first Final Fantasy VII playthrough. 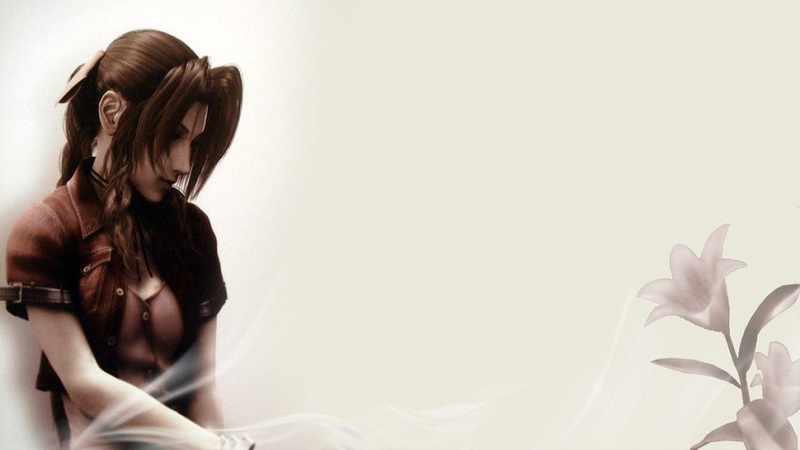 As an upbeat and influential character, Aeris seemed to provide Cloud with a glimmer of hope through his dark, depressing times and helps Cloud to realize the true evil of Sephiroth. After her untimely demise, Cloud ends up in a state of eternal depression, only to be once again saved by Aeris from the lifestream itself. Her involvement as the White Mage of the game almost ensured that everybody used her the first time they played. Square Enix were mean back in the day! Look what they did to poor Aeris! Cid (basically every game) – He appears in basically every Final Fantasy game, spin-off or tangentially related entry ever conceived in the series. My favorite incarnation of him is probably in Final Fantasy III, as flying his air ship is a pretty cool experience. 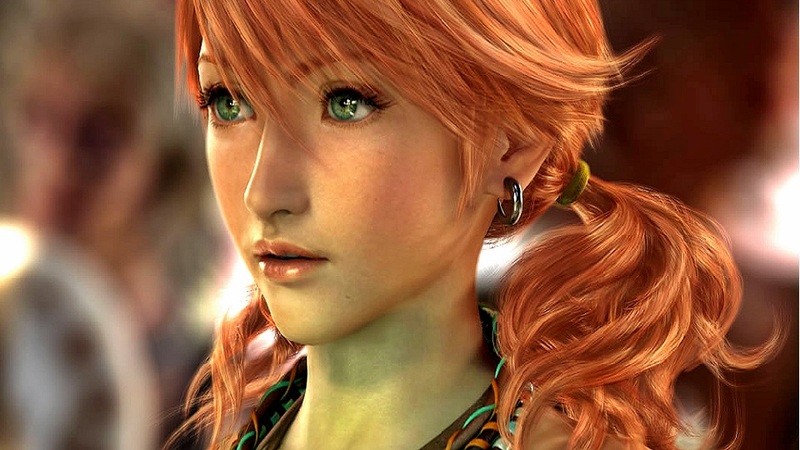 Vanille (Final Fantasy XIII) – She and Fang saved the world once. Do I really need to say more? She had an adorable accent as well. I would have said Australian, but does Australia exist on Pulse / Cocoon? I think not. 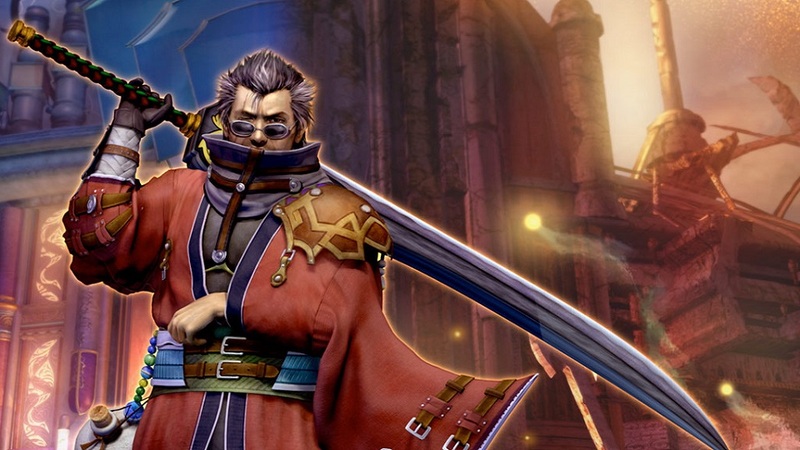 Auron (Final Fantasy X) – This guy is, essentially, the JRPG definition of a badass. He has a cool cloak, awesome hair, shades, a cool voice, unique name, and just all the things needed to be undeniably “cool”. Not to mention he does it all with only one good arm. Terra (Final Fantasy VI) – You might notice that Final Fantasy VI is noticeably absent from our list, well, that’s because the entire cast is so good it’s hard to choose just one. 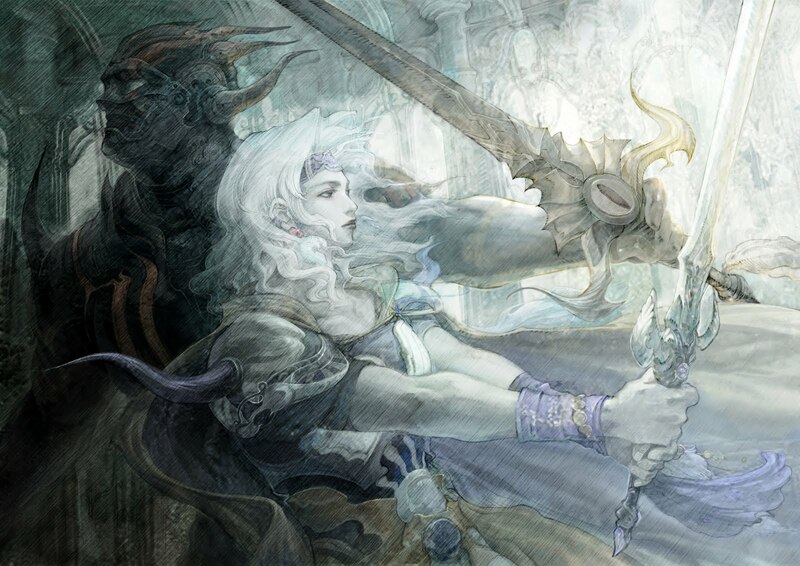 Terra is easily the “main” protagonist even though Square aimed to make everyone equally important and she has one of the more interesting story arcs in the franchise. Rikku (Final Fantasy X) – Really only on this list because she my favourite FF girl, still Rikku provided us with that cute charm we all came to know and love (incidentally, she also gave us the best overdrive as well). Square Enix provided us with much needed fan service in FFX-2 too. Obviously this is an incredibly divisive subject and we probably left out one of your favorite characters, so feel free to leave an angry (or preferably civil) comment down below and let us know your thoughts! Who is your favorite Final Fantasy hero?